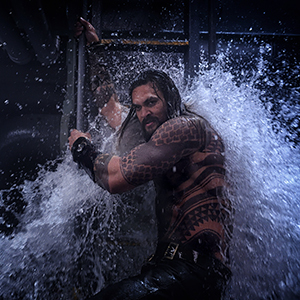 Jason Momoa plays Aquaman, aka Arthur Curry. 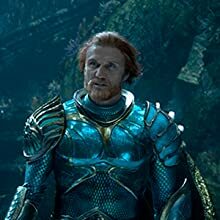 A half man, half Atlantean he is the true heir to the throne of Atlantis, but first he must protect the surface world against King Orm. 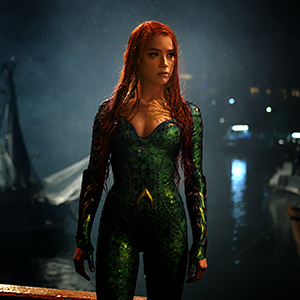 Amber Heard stars as Mera, a high born and a fierce warrior who is Aquaman’s ally throughout his journey to become King of Atlantis. 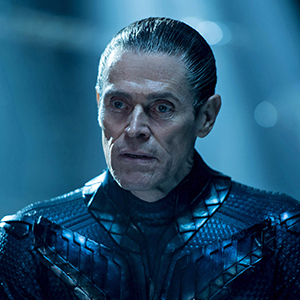 Oscar nominee Willem Dafoe stars as Vulko, council to the Atlantean throne and mentor to Arthur when he was a child. 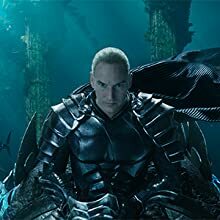 Patrick Wilson is Orm, the present King of Atlantis and half-brother of Arthur, who is intent on bringing war to the surface world and becoming Ocean Master. Dolph Lundgren is Nereus, King of the Atlantean tribe Xebel and father to Mera. 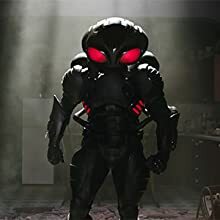 Yahya Abdul-Mateen II stars as Black Manta, one of Aquaman’s greatest enemies. 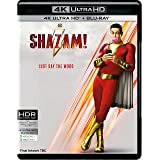 He is hell bent on seeking revenge on Aquaman who he blames for the death of his father. Oscar winner Nicole Kidman plays Atlanna, the rebellious Queen of Atlantis. She fell in love with a man from the surface and eventually gave birth to a son-a boy who would grow up to be Aquaman. 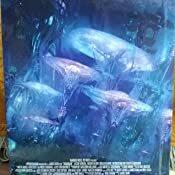 Great Movie,75 Percent Is In Imax And With A Awesome Sound ! Great Packaging Also. 5.0 out of 5 starsMust Buy Collector Edition !! One of the Bestest release by Excel/DC. 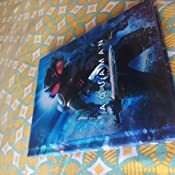 "Digibook Edition" is definitely a perfect Collector edition. 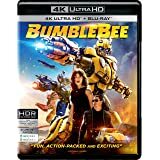 It has 3 discs (4K+3D+2D) n all discs featured all leading Regional Indian languages along with other overseas languages. High Price is big minus point on New releases but,due to high GST charges n imported duty, we can't blame to manufacture Co. for this pricing. 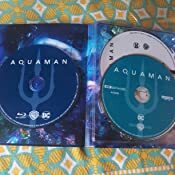 Overall, must buy Edition for all "Aquaman" fanz. 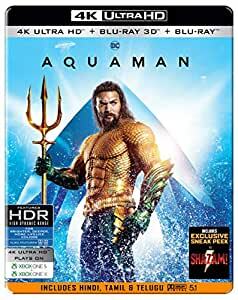 Best Bluray company Excel Innovators they releasing all multi audio English, Hindi, tamil, Telugu 5.1 best movie in 2019 aquaman. So underwater Kingdom prevails and takes my kidney to watch them rule!!! 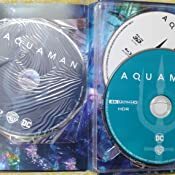 Hail Satan, Hail Feurer, Hail Darkseid.. Take my eye, give me the dvd.